The Waters Edge Recovery center, located in the middle of Stuart, Florida, is a fast-growing rehabilitation center that exists for six years now. What the Waters Edge Recovery center offers are multiple rehabilitation programs for you to choose from – from residential treatment and residential treatment combined with a partial hospitalization program, an outpatient program, an intensive outpatient program combined with the sober living program and even a family treatment. The only thing that you will not find at the Waters Edge Recovery center is a detox program. You will have to complete your detoxification program somewhere else before you begin your treatment at the Waters Edge Recovery center. The Waters Edge Recovery center focuses on helping and treating business executives, healthcare providers, and other high-in-stress professionals to improve their wellbeing and fight any problems that they might have linked to addiction – both alcohol and drug addictions and general health problems due to stress. The regular residential treatment at the Waters Edge Recovery center lasts for 42 days that are spent in two separate facilities. 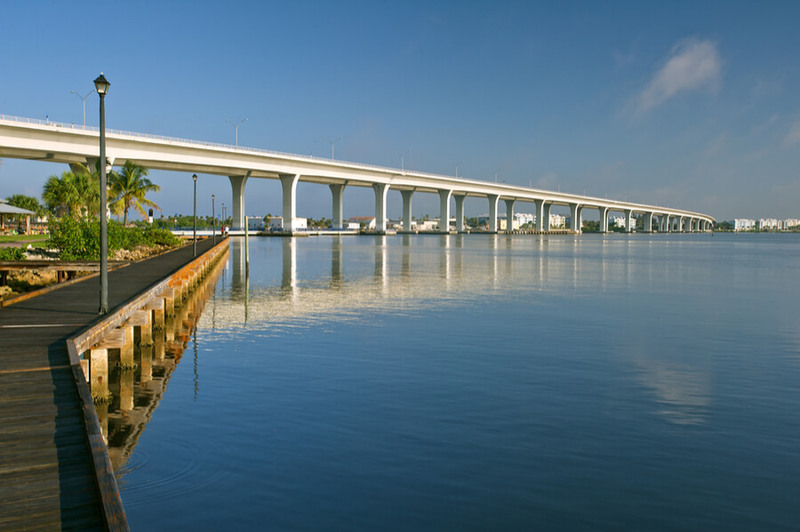 The first 21 days are to spend at the Jensen Beach Waterfront facility in Fort Pierce and the next 21 days are to spend at the Waters Edge Recovery complex. That is the regular residential treatment plan for all-male patients. Female patients engaged in the residential treatment are to spend the whole 42 days at the Equestrian Ranch in Stuart, Florida. Located in the middle of the ever-sunny Florida, the Waters Edge Recovery center, as we mentioned before, is organized in three separate facilities – two for all male patients and one for all female patients. The patients are living in shared mini apartments. Four patients are sharing a two-bedroom apartment. In every apartment, there is a private bathroom and a TV set as well as WIFI at all times. The facilities can accommodate 20 to 30 patients at a time. Kitchens are also a part of the apartments since there is no cafeteria where food is prepared for the patients. The patients are supposed to buy and cook food for themselves as a part of the treatment. The residential treatment at the Waters Edge Recovery center takes part in two separate facilities and lasts 21 days in each. The first 21 days are meant for stabilizing the patient and the next 21 days are organized to teach the patient how to once again transition to his/her normal life. Patients are supposed to attend individual as well as group therapy but also music and art therapy as a part of the treatment plan. The patients have the opportunity to choose an intensive outpatient program and a sober living program which is especially beneficial for those who have already completed the treatment and want to continue accepting support as a part of relapse prevention in the near future. For patients who have completed their treatment, they are assigned a sponsor and are offered help with their going back to work and/or enrolling in school. The Waters Edge Recovery center offers help to both drug and alcohol abuse as well as any mental problems and problems at the workplace that had led to the development and progress of the abuse itself. According to the information available online, there are separate prices for different treatment options, mostly depending on the length of the treatment itself. For example – for regular residential treatment with all included a patient is charged $25,000 for 70 days, whereas for residential treatment of 30 days, the patient is charged $10,000. There is an option for sober living combined with an intensive outpatient program that costs $4,000. There is no information available on the topic whether or not insurance is accepted and if it is, what insurance exactly and how much does it cover. Please contact the official staff via email and phone for more information on the topic. Unfortunately, no information is available about the licenses and approvals that the Waters Edge Recovery center enjoys in. Please contact the official staff via email and phone for more information on the topic. 24/7 medical and psychiatric help is not the only amenity that the patient at the Waters Edge Recovery center, get to enjoy. The staff at the Waters Edge Recovery center focuses on the physical and mental health of their patients, and because of that, they encourage their patients to engage in some of the numerous physical activities that they offer. As a part of the Jensen complex, there are basketball, volleyball and tennis courts, ping pong and even a pool to swim in. As a part of the Waters Edge complex in Stuart, the patients can enjoy in fishing, paintball, and even a fire walk as a final rite of passage when they finish their treatment. At the Equestrian Ranch, patients spend their time enjoying the company of horses. Dr. JoAnna VanVleet is the medical director at the Waters Edge Recovery center as well as Florida Psychiatry Associates, a private practice. She is a member of the American Psychiatric Associations and represents the Florida Psychiatric Society on numerous committees. Iesha Richards serves as the clinical director at the Waters Edge Recovery center. When she does not do that, she serves overseas as civilian assisting military members and their families who are struggling.